Android also provides rich hardware platform for playing games. We can rather play different types of games on Android Smartphone. While gamers have different taste of gaming like shooting, racing, mind and more type of games. 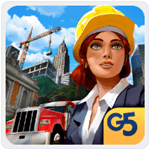 There are also a few city building games for android. These games rather provide us a chance to make a city according to our choice. Thus, we can easily customize our city according to our choice and create various types of buildings. Just like the most popular clash of clans game. These type of games also fall under the strategy games for android. Android city building games are full of fun. Because our goal is to earn money and develop our city. These games provide various challenges and difficulty levels. In this types of games we have to make strategy to develop our city. So if you are searching for something similar, Then in this article we are going to list out few best city building games for android and we hope you like them all. Best City Building Games For Android. 6. City Island 4 Sim Tycoon. 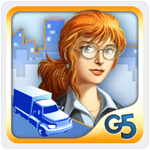 Megapolis is an interesting game in all city building games for android. This game offer more realistic 3D graphics. We can create buildings from old ancient time to modern time. Their 700 different buildings with different materials. We can easily manage our finance and build different types of buildings like Airports, Mining, Railway stations, power plants and much more. We can also play it in coop mode with friends. Approximately 50 million users have downloaded this Game. 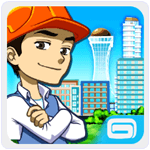 It is a wonderful game in the list of city building games for android users. It has a rating of 4.2 on Google play store. This game provides us a chance to become the mayor of city and design the city according to our wish. We have to unleash our imagination to place our functional buildings. This game provides awesome graphics with easy to use control. Approximately 50 million users have downloaded this Game. 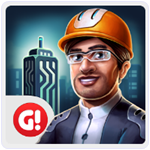 It is another best android city building game which offer a chance to build a city of our own choice. It has a rating of 4.4 on Google play store. We have to increase residential buildings to increase our city population. Also create office to employ more citizens on jobs and earn more profit. It is an Offline game. We can also sign contract and use transport to export our products. Approximately 10 million users have downloaded this Game. 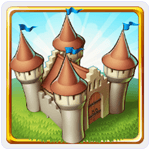 It is an another best game in the list of city building games for android. In this game we have to develop our village to a city with a thriving economy and happy villagers. It also provide military option to protect our city. This game provide various challenging tasks. We have to find the spot for mining and harvest the crops of our farms to earn money and develop our city. Approximately 10 million users have downloaded this Game. Checkout:- Adventure Games For Android. It is another famous Android app in the list of android city building game. This game offer HD graphics. It has a rating of 4.3 on Google play store. We can easily build and decorate our Island with 250 unique items. Android users can play this game in both online and offline mode. We can upgrade our city building equipment’s easily. 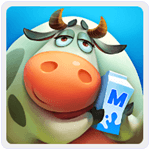 It provide amazing game play with new challenges, achievements and rewards. Approximately 5 million users have downloaded this Game. It is another awesome game in the list of strategy game for android. 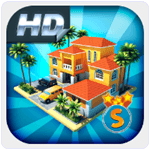 It is an interesting city building Game which provide us a chance to build and customize city according to our choice. We can also play this Game in offline mode without internet. Tap on people to become them. Happy, tap on buildings to move them. It provide various disaster like alien invasion, natural disaster, epidemic etc. Approximately 5 million users have downloaded this game. 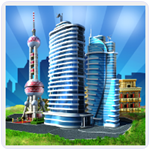 Virtual City playground is another interesting game in all city building games for android. In this game we have to create city according to our dream. We can easily create public places, industrial buildings, Railway stations and much more among 200 available buildings. We can easily make our city greener by planting, recycling garbage adding hospitals and fire stations etc. Approximately 5 million users have downloaded this Game. It is another popular android city building Game which is available on Google play store for free. This games provide awesome city building experience. It provide different challenges and different modes of playing. It has a rating of 4.3 on Google play store. In this game we have to create a city and manage it like Mayor of city. We have to mange each and everything in the city like hospital, building, garden, airport and Railway station. Approximately 5 million users have downloaded this Game. 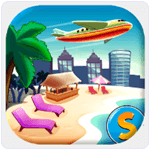 City Island airport is also an amazing city building game with awesome graphics and easy to play interface. It has a rating of 4.1 on Google Play store. In this game we have to create an airport and a megapolis city to increase our business of tourism. Attract happy tourist with our amazing hotels, buildings and earn more money to unlock new buildings. Approximately 5 million users have downloaded this game. Hence, these are some best city building games for android. Which are full of fun yet require to make good strategy while playing. Feel free to share your views and start a discussion in the comments below.